Under federal law, and the laws of almost every jurisdiction in the country there are two ways that the prosecuting lawyer can prove possession. Possession cases can include any type of illegal substance or object, but typically the laws of possession are relevant for drug cases and firearm cases. Of all the drug crimes and gun crimes on the books, simple possession of drugs is by bar the most common crime. Therefore it is important to understand what exactly constitutes possession, and how the prosecutor will go about proving possession. The following is simply an overview, but if you have been charged with drug possession of a substance such as marijuana or cocaine, or if you have been charged with possession of an illegal object such as a gun, contact the criminal lawyers at The Herbst Firm for a more detailed explanation of the possession laws in Maryland. In Maryland, possession is defined as the conscious act or condition of having something on your person or in your control. Possession requires that the person to hold something at his or her disposal and to exercise a restraining or directing influence over something. The wordy definition of possession basically boils down to two things; you have it, and you know you have it. The two types of possession under Maryland law are actual possession and constructive possession. Actual possession is the most common form of possession and also the easiest to understand. In order for the state to prove actual possession at a trial for a crime such as possession of marijuana, the state prove beyond a reasonable doubt that the defendant had the marijuana directly on his or her person, or immediately beside the him or herself. 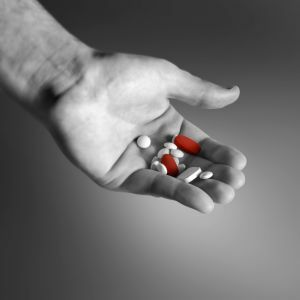 It is not a defense to an actual drug possession case that defendant did not know that what he or she controls is a prohibited narcotic drug in Maryland. For example, a defendant who is arrested for possession of a painkiller such as oxycodone or another prescription drug such as Xanax cannot say that they thought it was a legal over the counter drug. Actual possession drug cases typically come about due to a person being subject to a pat down search. A police officer has a write to conduct a pat down search for weapons in certain circumstances, but often police use this stop and frisk law to search for drugs. If you have been arrested for drug possession after being subjected to a stop and frisk search contact a Maryland drug possession lawyer for a free consultation about your rights. A criminal lawyer may be able to file a motion to suppress in this circumstance, and have the evidence thrown out and the charges dismissed. Actual possession drug cases are also commonly the result of a search incident to arrest. After a police officer executes an arrest, the officer will conduct a search for all property on and about the person. While these types of searches are legal, if the arrest was not legal then a lawyer may be able to file a motion to suppress the drug evidence due to an unlawful search. If you or someone you know has been arrested for drug possession, contact the criminal defense lawyers at The Herbst Firm today. Our lawyers handle all types of drug cases including marijuana, cocaine, heroin, and pills, and are available 24 hours a day to discuss the defenses that may be available to you.